At Pride Dental in Arlington, Texas, our holistic, biological approach means far more than just being mercury-free, mercury-safe and fluoride-free. 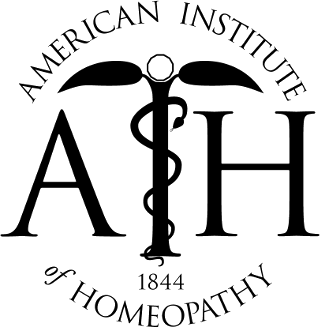 It combines the best of modern technology, science, and clinical techniques of dentistry with time-tested traditional healing wisdom to support your whole body health. We believe that overall health is based on a full spectrum approach to wellness. How you tend to your oral health has a direct impact on your total health and well-being. 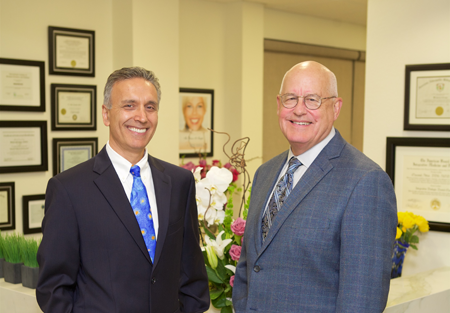 Meet Dr. Masoud Attar and Dr. Allen Sprinkle. Comprehensive dental exams and regular cleanings. Laser dentistry and surgery-free periodontal treatment. Safe removal and replacement of mercury amalgam “silver” fillings. Ceramic, metal-free implants with the look and function of natural teeth. 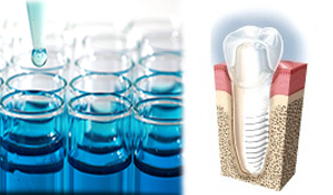 Compatibility testing for sensitivity to dental materials. Natural-looking porcelain veneers, tooth whitening, and other cosmetic services. Extractions of infected root canal teeth and other oral surgery. Nutritional guidance and other supports for optimal mouth-body health. We emphasize prevention over treatment and a conservative approach when treatment is called for. We also look beyond mere symptoms to the root cause of problems. While conventional dentistry focuses largely on mechanical repairs to the teeth and related structures when something goes wrong, biological dentistry includes additional therapeutic approaches to support the body’s natural healing abilities. Because of this, all treatment is custom tailored to the individual’s specific health situation and needs. We are pleased to coordinate and consult with other healthcare providers who are involved in your personal health journey or refer you to allied practitioners who may help you reach your goals for optimal mouth-body health. We do everything we can to maintain a welcoming and healthful environment for everyone who enters our office. That means no chemical odors. That means control of EMFs to the greatest extent possible. That means excellent air and water filters, ozone for disinfectant, and more. If you have chemical sensitivities, disability, or other factors involving accommodations, please don’t hesitate to ask us how we can make your visits as accessible and comfortable as possible. Our journey for health takes a holistic approach that acknowledges and respects the connection between oral and systemic health. Mercury-SAFE means that when we are called on to remove mercury amalgam fillings, we do so in a way that protects the patient, dental team, and environment. When removing amalgams, we follow the strict safety protocol of the IAOMT. When decayed, broken, or missing teeth need to be restored or replaced, Pride Dental can help – and do so in a way that supports your overall health and well-being. We rely on biocompatibility testing to make sure we use only materials suited to your unique biochemical and bioenergetic needs. I have some missing teeth. I want a healthy, comfortable smile. 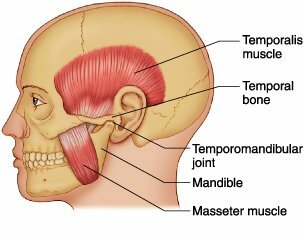 I have headaches & clench my teeth. I have a dental phobia. I have sleep issues and use a CPAP.